No longer just billing systems, electronic health records have become indispensable to quality healthcare. With help from its in-house behavioral design team, Penn Medicine aims to revamp its IT systems for a fast-evolving future. Penn Medicine is pursuing a new initiative it says will innovate electronic health records for 21st Century medicine. The goal, officials say, is to make the technology more interactive and responsive to clinicians – nudging the EHR into a new era where it's not just a documentation system but a crucial tool for care delivery. Since EHRs have become ubiquitous over the past decade, they've grown into an intrinsic part of the ways healthcare is administered. They've also earned no shortage of annoyance, if not downright scorn, from many clinicians frustrated by how they impact their jobs. As Penn Medicine explains, many physicians simply see EHRs as "static, digital remakes of paper charts that can increase workload, contribute to burnout and create barriers to delivering high-quality patient care." And oftentimes that's exactly what they are. But as is often the case, much depends on how such tools are used. So Penn Medicine leadership has undertaken a multi-pronged approach to making EHRs more responsive to clinicians and streamlining them to work better for better outcomes in the era of precision medicine and population health management. For instance, it has devised new tweaks for Penn's Epic system designed to help ensure clinicians prescribe statins for their cholesterol patients, get cardiac patients referred for rehab after heart attacks and only order advanced imaging tests for the patients who need them most. David Asch, MD, executive director of the Penn Medicine Center for Health Care Innovation, has previously explained how behavioral economics and psychology are key to engaging patients to make meaningful changes. The same holds true for physicians, he says, which is why he's advocated for EHR customizations that, among other things, enable and encourage doctors to "subscribe" to their patients' clinical data, gaining social media-like updates in real time when certain interventions are needed. "Ultimately, we need to move past the idea that the EHR is just an administrative tool, and see it as a clinical tool – like a scalpel, or a medication, or an X-ray machine," Asch said in a statement announcing the new project. "We judge these tools by the degree to which they facilitate good patient care, and we should be judging the EHR against the very same standard." Much has been said, here and elsewhere, about the "post-EHR era," but Penn Medicine's efforts appear to be intent on making it a reality there – boosting the ability of IT systems to deliver enhanced care in the 21st Century. No longer just a data repository or a glorified billing system, the EHR – when properly designed, configured and used – could have a huge impact on how care is delivered, especially as the complex new era of connected devices, patient-generated health data, genomic medicine and artificial intelligence continues to come into focus. 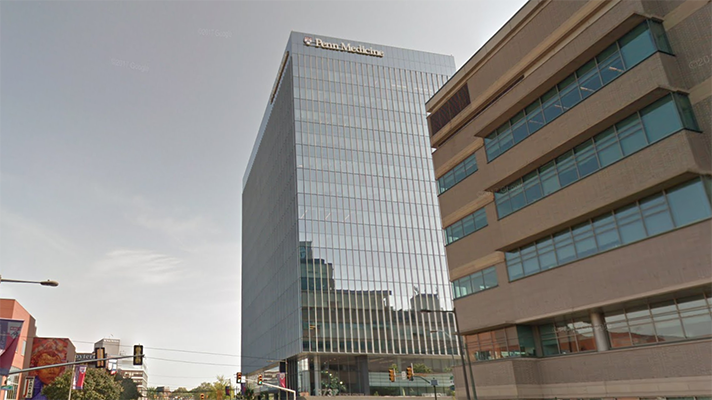 A chief goal at Penn Medicine, officials said, is to alleviate if not eliminate the need for clinicians to spend undue time looking for needles in data haystacks, getting pertinent patient information in a more "actionable, tailored manner." That's why the health system has also launched a new innovation contest designed to get teams from across Penn Medicine to identify the lowest-hanging fruit for EHR transformation. IT professionals, data scientists, educators and others will work with clinicians and staff to help conceive and refine various design and usability improvements. In addition, new so-called "sprints" – collaborative clinical workgroups to help to streamline and improve EHR interactions and engagement with email and digital media – will be a key component of the new initiative going forward. "We recognize that EHRs are no longer just part of how clinical care is documented, but they are central to how clinical care is delivered," said J. Larry Jameson, MD, dean of Penn's Perelman School of Medicine, in a statement. "Increasingly, health information technology plays a foundational role in each domain of our work: patient care, educating the next generation of physicians and scientists, and biomedical research." Ralph Muller, CEO of the University of Pennsylvania Health System added: "Everything that shapes patient care should be designed to support the best possible outcomes. Electronic health records are a natural focus because they connect to everything we do."